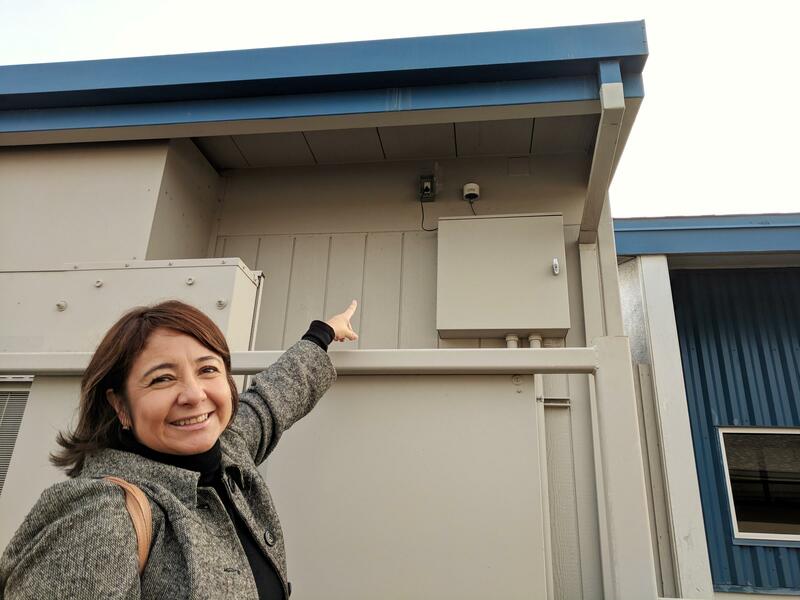 Nayamin Martinez, director of the Central California Environmental Justice Network, checks the air quality status near the two PurpleAir monitors she's installed in southeast Fresno. It’s after hours at Malaga Elementary School in southeast Fresno. On this gray January day, air quality is moderate, and kids are playing capture the flag. But many children play outside even when particle pollution reaches dangerously high levels—a relatively common occurrence in Valley winters. On those days, Nayamin Martinez of the non-profit Central California Environmental Justice Network says her heart breaks when she sees kids playing outside. “I’m a mother of two children, one of them with asthma, and I feel so desperate,” she says. 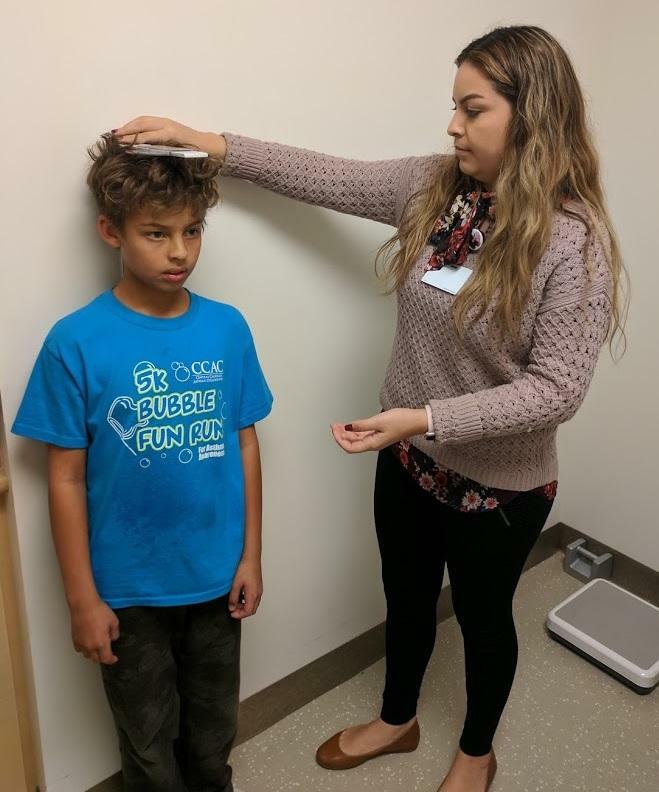 The Central California Environmental Justice Network has deployed this PurpleAir monitor at Malaga Elementary School and another at a community center in Calwa. Martinez is working with the Valley and South Coast air districts to find locations for dozens of others. That neighborhood-level uncertainty is why Martinez’s organization installed its own low-cost air monitor here at the school. She points to a little white device hanging outside a school building. “This is the beautiful purple air monitor,” she says. PurpleAir. It’s a relatively new brand of low-cost, air-quality monitors that’s rapidly gaining popularity. Out of more than 1,100 PurpleAir monitors around the world, about a third are in California. For less than $300, these monitors measure particulate matter. Their data are transmitted right onto an online map in real time. These little devices are helping create a more nuanced picture of air quality beyond what public agencies can currently provide. But motion by regulators suggests some of these agencies will soon be incorporating them into their own work. PurpleAir monitors have been deployed in dozens of countries. As of publishing this story, the majority of the 1,100 monitors are in the United States. PurpleAir is far from the only consumer-level particle counter on the market. But considering its low cost, it’s pretty accurate, and it’s one of the few that’s connected to the internet of things. Moreover, it’s the only one mentioned again and again by local air quality regulators and advocates. We wanted to know: What’s with all the hype? So we bought one. It’s semi-spherical, white and, honestly, kind of cute. It’s smaller than we’d imagined—about the size of a camera lens or oversized hockey puck—and it makes a low humming noise when powered up. It was also easy to install. We mounted it to a post outside our newsroom in Clovis. 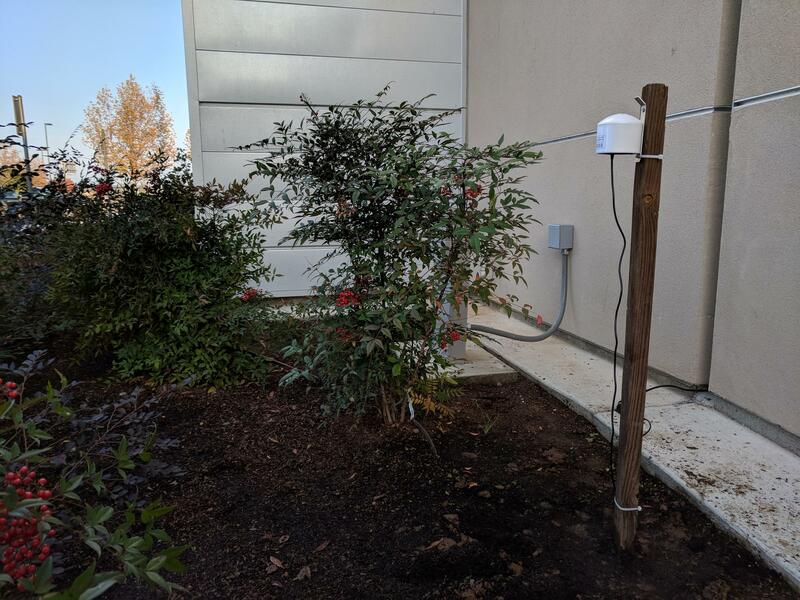 Another five minutes to connect it to our Wi-fi network, and there we are: One of 15 sensors transmitting data in the Valley. In general, the readings from our monitor seem pretty consistent with measurements coming out of the San Joaquin Valley Air Pollution Control District, our local air regulator, but there really is a lot of variation from neighborhood to neighborhood. We at Valley Public Radio purchased and installed a PurpleAir monitor in December. 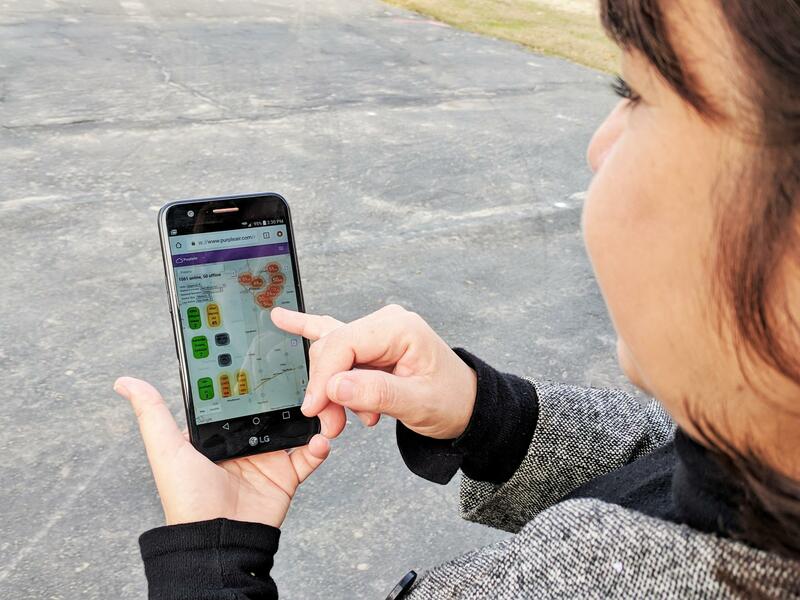 This citizen science network complements the higher-tech air monitors used by public agencies like the state Air Resources Board and the Valley air district. Those monitors are calibrated and tested regularly, and they’re considered the gold standard. But only about 30 of these highly sensitive instruments operate in the Valley—an area of nearly 10,000 square miles. He says PurpleAir monitors helping to fill in those gaps. 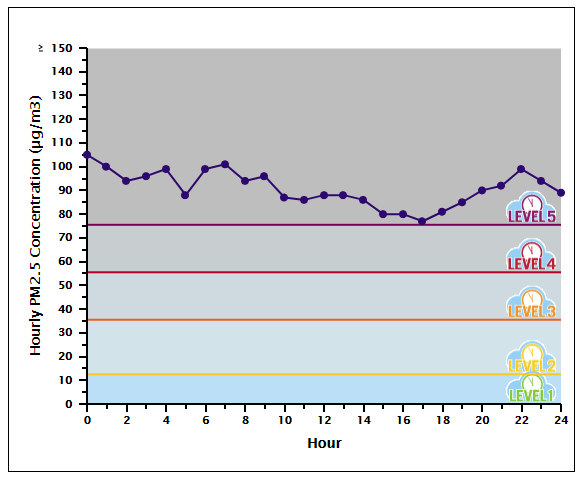 But he cautions users to not take their readings at face value, because PurpleAir data skew high. “That’s a concern for us: That if people are going to use this data as is, they need to be aware that there could be a high bias,” he says. Kerry Kelly, a chemical engineer at the University of Utah, agrees. She put PurpleAir monitors to the test in Salt Lake City, another region wrestling with wintertime pollution. She and her colleagues found PurpleAir measurements are generally correlated with regulatory air monitors; when the regulatory measurements go up, so do PurpleAir’s. But the numbers themselves don’t always align. “The PurpleAir sensors, at least during our wintertime particulate matter episodes, overestimate particulate matter levels pretty substantially,” Kelly says—sometimes by nearly a factor of two. Plus, PurpleAir devices have a shorter lifespan than higher tech ones. In Southern California, the South Coast Air Quality Management District is doing something similar. South Coast includes the Los Angeles and San Bernardino areas, two of the other most polluted regions in California and the U.S.
Andrea Polidori is with the district, and he explains that with a grant from the federal EPA, South Coast is testing consumer-level monitors and deploying its own network of PurpleAir monitors throughout the state, starting in Southern California. 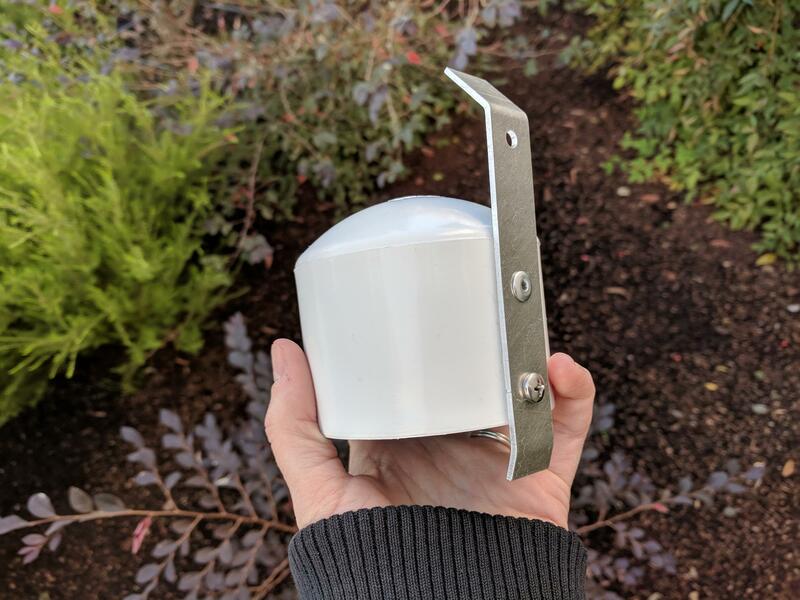 “The main goal for this type of grant is to basically educate and empower community groups in the use and operation of low cost sensors,” he says. 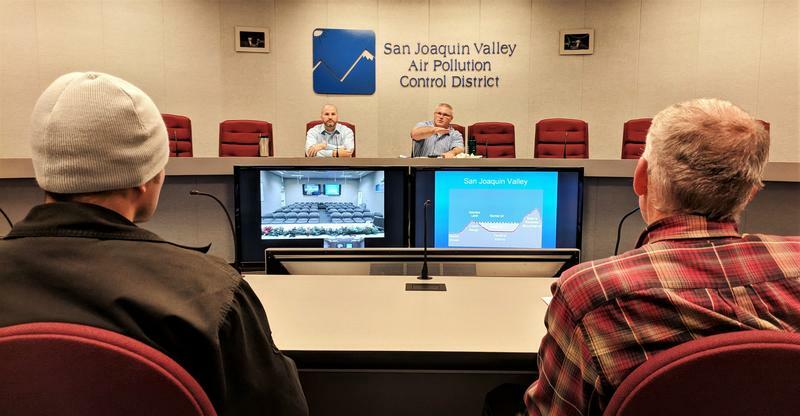 The San Joaquin Valley air district has been a little more skeptical about these low-cost sensors, but they are collaborating with South Coast to set up a PurpleAir network in the Valley. The Valley air district also plans to roll out neighborhood-level forecasting later this year, but without PurpleAir monitors. Valley Public Radio's PurpleAir monitor, sitting outside our Clovis newsroom, is one of 15 in the Valley and more than 300 in California. At the state level, however, these monitors may soon play a key role in Assembly Bill 617, which aims to enable more community monitoring in the coming years. In Malaga, Nayamin Martinez says the Valley is ready for the PurpleAir network planned by the South Coast and Valley air districts.“We have so many requests already of community members that want these community monitors in their towns,” she says. She’s hoping that local network will roll out in the next few months. 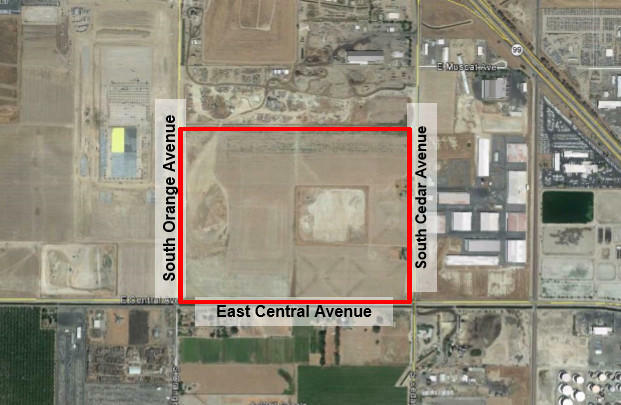 This Thursday the Fresno City Council will vote on a proposal for a major new industrial development in south Fresno. Covering 110 acres at Central and Cedar Avenues, the development would allow up to 2,000,000 square feet of new construction for heavy industry. However, developer Richard Caglia is likely to target a very specific type of tenant for the project – warehouse operations known as distribution or fulfillment centers.